Apple dropped a new iPad TV spot featuring music creation apps just in time for the Grammy Awards, featuring Swedish recording artist Elliphant, UK producer Riton, DJ The Gaslamp Killer and Parisian film director So Me. 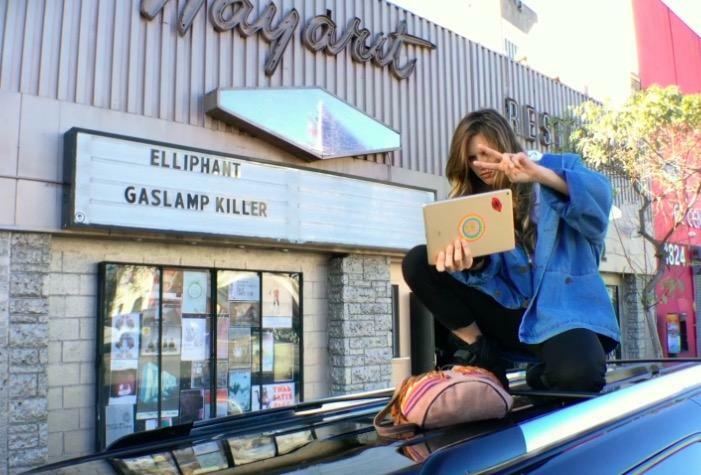 The new spot portrays Elliphant writing her song "All or Nothing" with the help of an iPad, and depicts Apple's tablet playing a role in recording, production, live performance and documentation, using the bundled GarageBand app along with third party titles including iMPC Pro, NanoStudio, Serato Remote and Manual Camera, all of which cost less than $15. The ad reflect Apple's culturally aware Beats acquisition that has so deftly and competently targeted the youth demographic with a savvy understanding of the Los Angeles music scene. The tagline of the ad is "everything changes with iPad," and directs attention to a new iPad "apple.com/change" website. Apple's iPad has been under relentless attack from tech media pundits for not eclipsing previous sales records set in the year before Apple had its large screen iPhone 6 on sale, despite the fact that the company continues to sell virtually every profitable tablet on the market in a climate where cheap hardware producers are dumping vast numbers of loss leader (albeit defective) Android tablets for as little as $50. Asymco's Horace Dediu just tweeted (above) charts comparing the revenues of Apple, Google and Microsoft that highlight the fact that iPad regularly contributes revenues higher than Apple's Mac sales, which are in turn higher than Microsoft's Windows and Windows Live business. Google doesn't report its mobile revenues or profits separately because virtually all of its revenues are tied to desktop PC ads. Samsung, the second largest tablet producer after Apple, also refrains from detailing its unit shipments or revenue related to tablets for similar reasons. Apple is the only significant company in the world that reports its revenues and unit numbers atrributable to tablet sales. In the most recent December quarter, Apple reported sales of 21.4 million iPads generating $8.985 billion in revenue, noting "particularly strong growth in Greater China where net sales increased 70% year-over-year" and a year-over-year Average Selling Price decline of just 5 percent despite generally being priced significantly higher than competing tablet from other vendors. Apple's Mac business in the same quarter sold 5.5M computers and generated $6.9B in revenue.